Amsterdam Light Festival Cruise - info and tickets here. Each year during the winter months, you can visit the annual Amsterdam Light Festival. 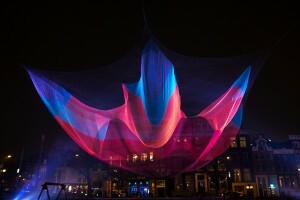 This wonderful festival illuminates the center of Amsterdam, with some great light artworks on the canals. The best way to experience this festival is to see this from the water. Therefore a Light Festival Amsterdam Cruise is an absolute must to do. Since the Amsterdam light festival is only held in the winter months, it is currently not possible to join one of these boat tours. 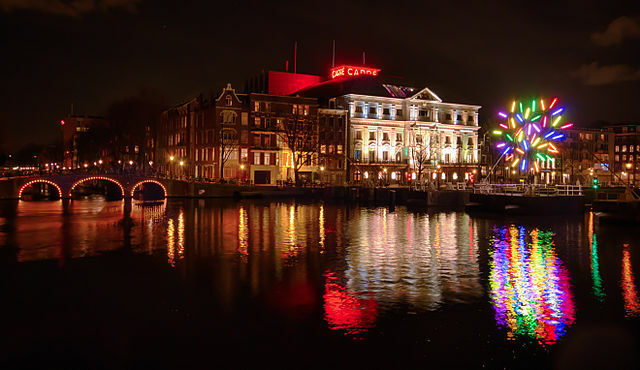 This canal cruise will pass all 38 artworks of the Amsterdam Light Festival. Each year the organization of this festival selects only the best works. This selection is a tough job. The organization receives annually over 350 submissions, from more than 40 countries. Because of this strict selection, you will only see the world’s finest artworks. You should definitely experience this Amsterdam Light Festival Cruise. You will have the best first row seats on a warm and comfortable boat. Above that these seats have the best view. This cruise will absolutely be an unforgettable experience. – The cruise will take approximately 75 minutes. – There is an audio guide available in Dutch and English only. – You need to be present at least 20 minutes before departure.